Here are five things I'm loving right now! The Lululemon Bang Buster. I instagrammed this several weeks ago. 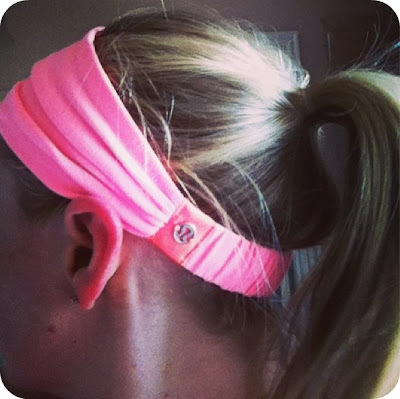 I bought one to keep my hair out of my face while I was in labor. I've since added 3 more to my collection because I love them that much. They don't squeeze the life out of my head, they come in fun colors, and? Two words: baby bangs. Enough said. The Fort Worth Zoo. We can't get enough. 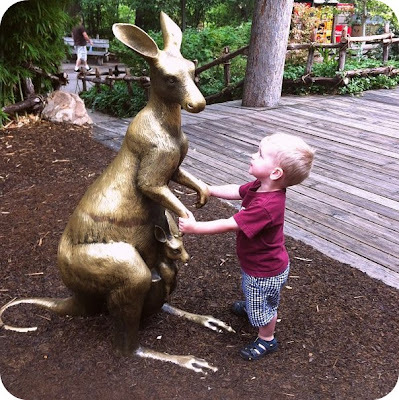 Our zoo pass was renewed about two weeks ago, and I think we've already gotten the full ROI on it. And to be quite honest, I'm not a big fan of zoos in general, but it gets us out of the house. Plus, my little guy loves it, and I'm a huge fan of that. Personally, my favorite part of the zoo is the fudge shop in the Texas section. 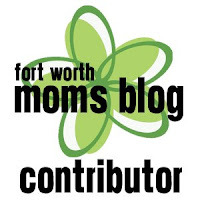 Speaking of getting out of the house, my blog post at Fort Worth Moms Blog today. We try to get out of the house everyday for a little bit. I should call myself a stay out of the house mom. Not really, we're home some too. Some. I'd love it if you clicked on over there and even if you're not a Cowtown mom, tell me your favorite summer activities with your babes. Pure Barre. I mentioned that I got a package for part of my Mother's Day. It's taken some getting used to, but I really like it. I haven't felt this sore in probably 4 years, and it makes me feel like I'm doing something great for myself. I'm going to do a longer post on just this topic but want to give it a couple of weeks. Don't worry--no gratuitous before and after pics. Last, but certainly not least: my wonderful husband. I had a moment out and about with my babies earlier this week where my heart was just so full to be home with them and share their fleeting childhood. As a working mom turned stay at home mom, I've been hustling so hard for two years to juggle it all, so to now have time for daily simple and quiet moments with them is priceless. Before, we'd been going 100 miles an hour nonstop. (I would categorize myself as being at least back to the speed limit now.) He's giving me this gift of the little summer vacation that is their childhood, and I will be forever grateful. I've been meaning to post about this very special gift for Annabelle for a while. I'm blessed to have some of the best friends a girl could ask for. God has been abundantly gracious in that area of my life. I have friends that are like sisters, which is wonderful since I don't have any of my own! A couple of months ago I was the matron of honor in my best friend's wedding. She was the maid of honor in my wedding, and the first person I told outside of our families when I found out I was pregnant with my babies. She is one of the most kind and generous people you'll ever meet. She called me a couple of months before Annabelle was born to confirm that I was doing her bedroom in pale pink and grey, and I honestly didn't think anything of it. I figured she was ordering something special, but I had no idea that what she was planning would knock my socks off. The day after my sweet cheeks was born, she came to visit us in the hospital. With her, she brought us a gift: this precious pillow on the right, made out of her bridesmaid dress from my wedding! It matches Annabelle's room perfectly. Do I have a color palette, or do I have a color palette? More details on her room here. You cannot imagine how in love I am with this sweet heirloom. On the back, Annabelle's name is monogrammed on grey fabric, and the rest of the pillow and ruffle trim is made from the dress. I'll have to put it up someday to keep it for her, but until that day comes, it's on her bed as a wonderful reminder of my sweet friend and the sister she is to me. Well, hello and howdy! Long time no check in on the blog, or so it would seem. As I mentioned in one of my last posts, I'm officially a stay home mom. I feel like I'm on summer vacation, which is something I haven't experienced since like, 1999. Crazy. It's weird to mostly do things that you want to do, versus what you have to do. My only obligations are to my family, and that's something I love to do, so I feel incredibly blessed right now. I'm working on a summer schedule for the kiddos and me. No schedule equals a lazy me, and that's not a habit I need. 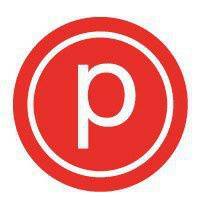 For Mother's Day, I asked for the intro package to the new Pure Barre studio here, and it opened this weekend. I survived my first class yesterday. Survived is the appropriate verb. I found it challenging considering I've not worked out much in the past three years. (If you can't read between the lines that means, "HOLY SMOKES I AM HURTING TODAY ON MUSCLES I DIDN'T KNOW I HAD.") But I'm going back today and plan to get a lot out of my unlimited pass this month. Lift-Tone-Burn! We had a great weekend! My dad invited Mr. G to play in a church golf tournament in my hometown, so we headed south for an overnight. The littles and I spent the day hanging out with my mom. There was a two-day-old baby calf that Jack couldn't stop talking about, a swimming pool, and plenty of bubbles. That makes for a happy Jack! Our trip was quick because I needed to be back for the Fort Worth Moms Blog contributor photo shoot. I love that this is pulling me out of my usual bubble and helping me make new friends across Fort Worth. It's a great community! 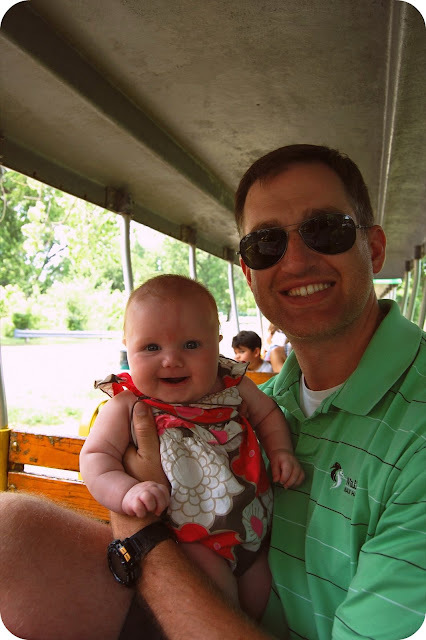 We took our first ride on the little Trinity River train Saturday afternoon. The idea of the train was awesome, but it wasn't as beloved as I had hoped. Probably a combination of being close to naptime, plus a two-year-old, plus the newness. We'll try it again soon. But he still couldn't stop telling people about it at church yesterday. One more thing! 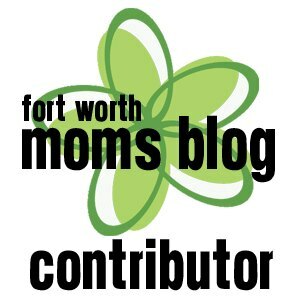 I'm the Texas Women Bloggers June Blogger of the month. 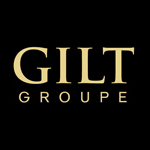 You'll find a profile of me over there today, plus I'll be guest posting each Monday of this month if I can still manage to lift my Pure Barre aching arms up to the computer.